I am an active musician in both performing and teaching. 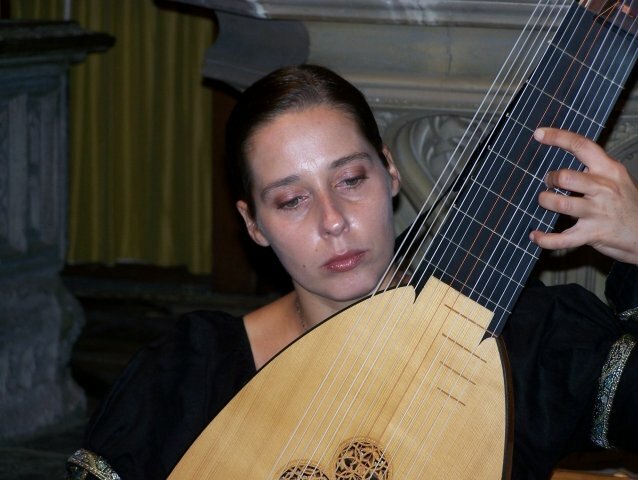 I obtained two MA degrees: in theory of music and lute playing - both at the Music Academies, while in Poland. recently I obtained a PhD title in music. I play lute as a soloist and in ensembles and orchestras. I also have qualifications and experience in playing and teaching classical guitar and piano. I have been teaching music for nearly 20 years, in both Poland and the UK . I have taught students from ages 6 to 60, teaching in both Schools of Music and as a private tutor. I also have experience teaching music to disabled adults. I am able to teach the following instruments: lute, classical/ acoustic guitar, piano/ keyboard and theory of music. I always strive to meet student’s expectations and abilities. My students learn at their own speed and participate in choosing the repertoire and styles. I give individual and group lessons always meeting the students as an individual in their unique way. My aim in any lesson is to not only make it useful and interesting but also enjoyable. KateFrom Lucy (5/5): Kate has been very efficient and reliable, as well as friendly and caring. I would not hesitate in recommending her.